You'll be £19.99 closer to your next £10.00 credit when you purchase Early Ships and Seafaring: European Water Transport. What's this? 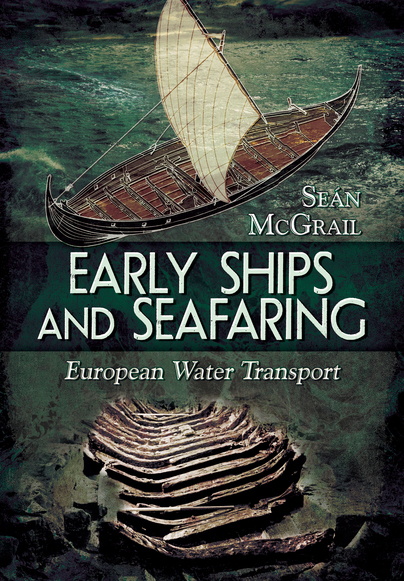 'Early Ships and Seafaring: Water Transport Within Europe' builds on Professor Seán McGrail's 2006 volume 'Ancient Boats and Ships' by delving deeper into the construction and use of boats and ships between the stone age and AD1500 in order to provide up to date information. Regions covered will include the Mediterranean and Atlantic Europe. This interesting volume is easily accessible to those with little t no knowledge of the building and ises of boats, whether ancient or modern. Seán McGrail introduces the reader to this relatively new discipline through the theory and techniques used in the study of early boats as well as the many different types of evidence available to us, including archaeological, documentary, iconographic, experimental and ethnographic, and the natural, physical laws. Accessible, well written, reasonably priced and commendably short by a former RN deck officer. Excellent introduction to the naval architecture of its period with a solid theoretical and practical base. This book covers the relatively new specialization of water transport in archaeology. It is a delightful and informative book that is illustrated throughout with single colour sketches and photographs. Water transport has been curiously under-covered, even though it was of vital importance to developing civilizations and continues to be important today. This is a book that should be widely read because it recounts the way in which water and water transport has shaped human development. Highly recommended. Early Ships and Seafaring is a very good book that ought to be widely read...In three sleek chapters, one on concepts and techniques, one on the Mediterranean and one on the Atlantic, McGrail outlines our knowledge base for European seafaring from prehistory to the end of the Middle Ages; he uses many good examples and offers useful cross references to ethnographic and experimental archaeological data. This is a short but invaluable book that ends with suggestions for future research. Archaeological evidence of boats and ships is unfortunately scare, but McGrail does an excellent job in this book of compiling what knowledge we do have from iconographic, documentary, ethnographic and archaeological sources. Highly recommended for those with a curiosity and passion for maritime origins.